Karaoke and cocktails – sounded like a fun thing to do with friends. 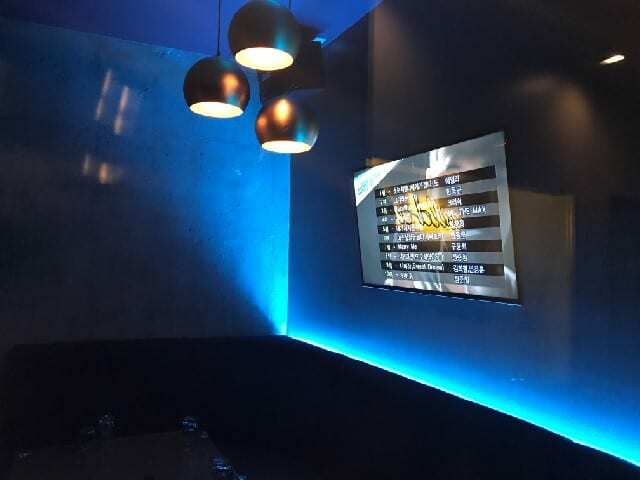 So a group of us headed to Koreatown to check out the newest karaoke bar in town, The Venue. We wandered around the large office building on Wilshire Blvd at Normandy, looking for The Venue. As we passed the notorious karaoke bar, the Brass Monkey, we wondered if perhaps it had changed names. But we finally found the nondescript entrance heading into the basement of an office building. We walked down a stairwell and entered The Venue. While the outside looks like a typical office building, the space is impressive. 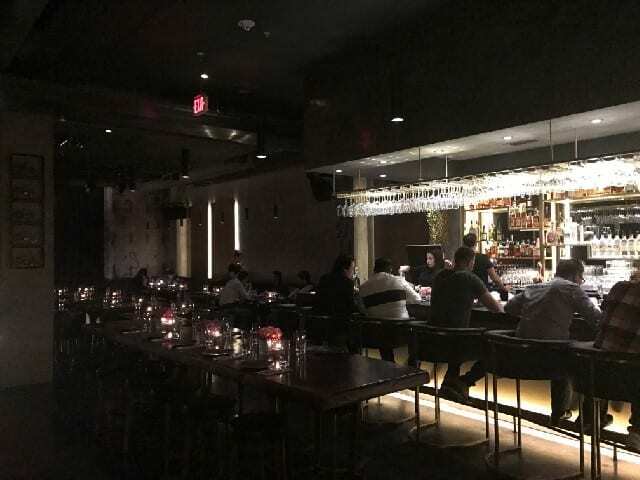 Past the check-in station, there is a large low-lit dining room with plush leather seating and a full bar. The Venue is not your typical karaoke bar. 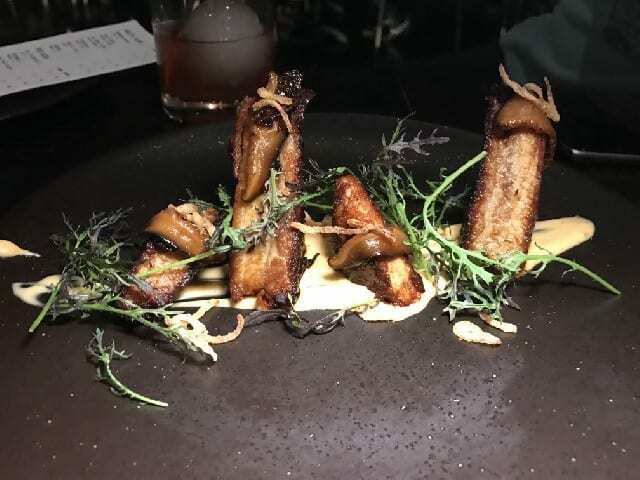 It is sophisticated, contemporary and offers a full menu of food and drink. The menu was developed by Kayson Chong, who previously worked at BOA Steakhouse and Mainland Poke. 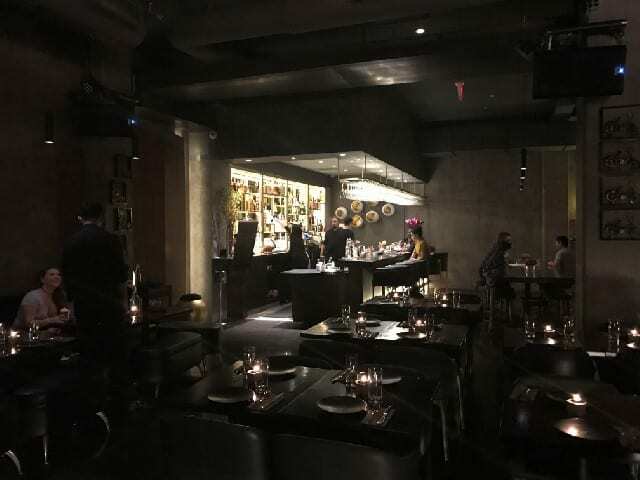 The Venue is a steakhouse, and in addition to big meats, also offers fish, chicken, pasta and vegetables. 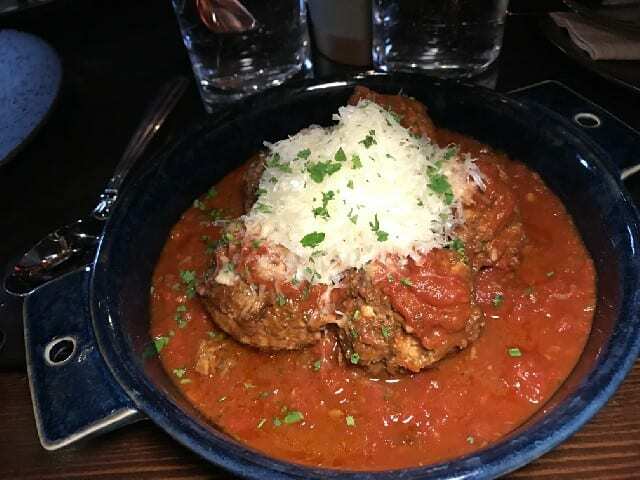 If you are not looking for a full meal, then try the bites, such as Nonna’s Meatballs with parmesan, tomato sauce and thyme, Farro Toast with pickled sunchoke puree, golden raisins, capers, olives, cranberries or Braised Pork Belly with shitake, fried shallots, sweet chili aioli. These bites, along with lobster corn dogs, mussels, three cheese fried mac, garlic parmesan fries and more are available on the late night menu. A good karaoke night must start with a few drinks. 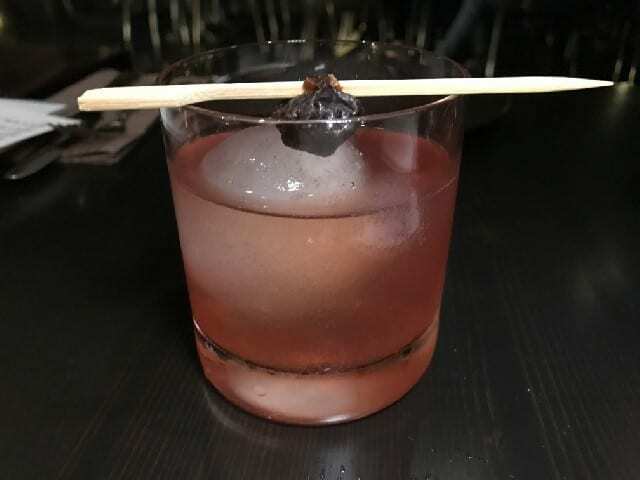 Unlike most karaoke bars that offer well drinks, the cocktail menu at The Venue was created by the talented Devon Espinosa, who has been behind bars everywhere across Los Angeles, from No Vacancy to Ink to The Tasting Kitchen. Even if you do not want to karaoke, head to The Venue for some drinks. Serrano Y Los Dinos is a refreshing and spicy drink made with altos blanco, serrano, thai basil, mint and lime. The Seana is the most striking drink, served in a big pineapple shell and made with Elyx, yellow chartreuse, eucalyptus, lemon, passion fruit and angostura bitters. 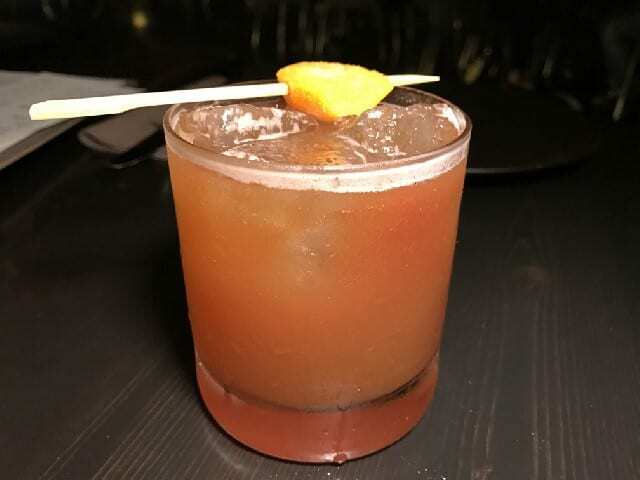 Stop Screaming is a play on an Old Fashioned made with Old Overholt rye, plum, spiced pear and plum bitters and has beautiful notes of baking spices. 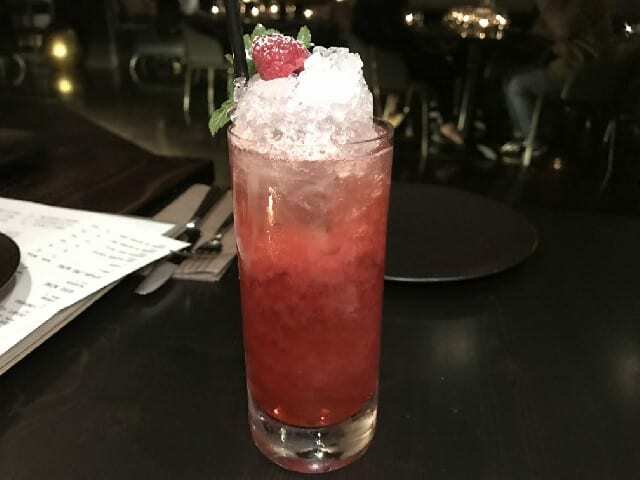 The Mic Drop, made with New Amsterdam Gin, bonal gentiane-quina, raspberry and lime is both sweet and tart. The Back Room with Dewars Scotch, chamomile, lemon and creole bitters has a subtle hint of rhubard on the finish. Across The Line is a tart cocktail made with Altos Reposado, pomegranate hibiscus, rhubarb bitter and elderflower foam. There is a touch of chartreuse on top of the foam, adding an herbal note. 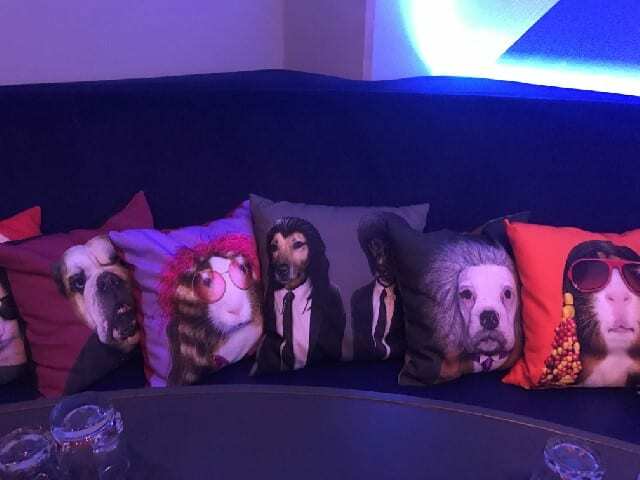 After a few cocktails and some bites, head back to a private karaoke room. The Venue boasts thirteen different karaoke rooms that accommodate a small group or parties up to 50. Each room has its own decor and theme. For example, one is the “red room” and another the “library room.” But each room has a disco lights, a service call button and bottle service. The rooms are available for $40-$120 per hour, depending on which room. 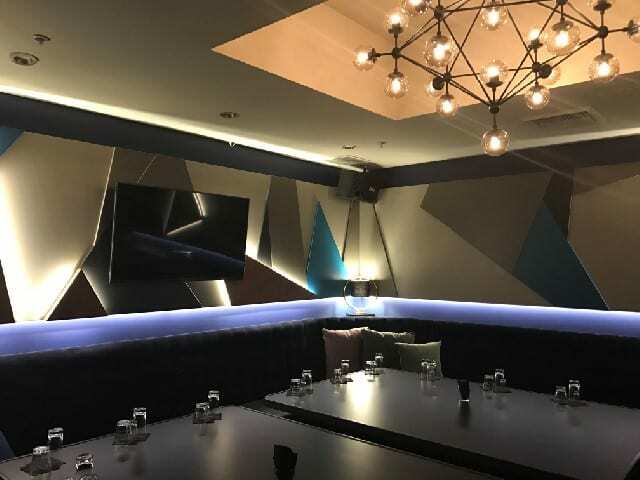 Good food and craft cocktails in a private karaoke room is ideal for all in your party, from the spotlight stealer to even the shyest of performers. Overall, a fun night! 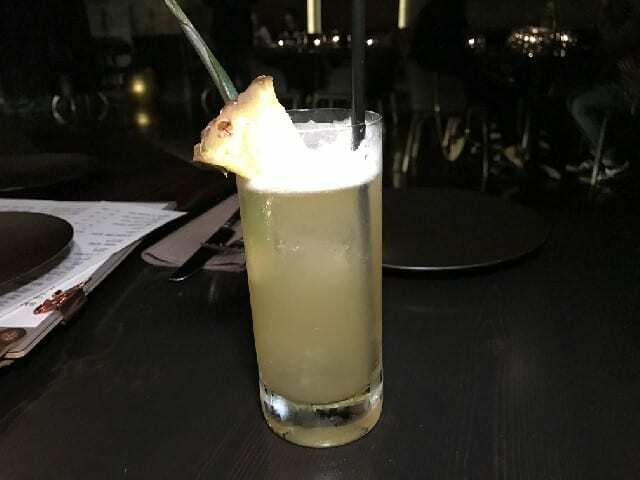 This entry was posted in Cocktails, Food, Lifestyle and tagged Cocktails, Devon Espinosa, DrinkWire, food, karaoke, Kayson Chong, Koreatown, Liquor.com by Allison Levine.